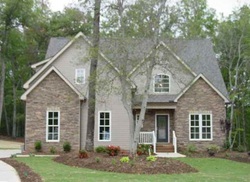 ​Spartanburg's High-Performance Builder, takes pride in their work. South Chase has specialized subcontractors to ensure quality control for every facet of your Home project. The South Chase owner, Doug Henjes, personally oversees each detail from beginning to end with a hands-on approach. Often times, he is present and working alongside the team to be sure the job is done right. South Chase puts their clients first, acts in a professional manner and shows up for the job. 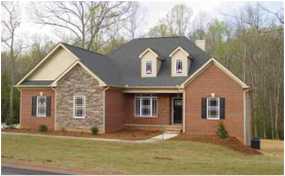 Doug Henjes of Spartanburg, is a licensed builder and general contractor of 20+ years. Giving great attention to quality and detail during the planning and building process. Doug is known for building every home with 2x6 exterior walls vs. 2x4, insulation is R-19 vs. R-13 which creates a more energy efficient and solid home. He is a professional businessman who enjoys working with clients to make their dreams come true. So you dream it, and South Chase will build it. "Doug was a pleasure to work with. He builds a fantastic home, we couldn't be happier. The 2x6 walls make for a very quiet home and really lower our utility bills. We always say we live in the house that pays us back."